The final planeswalker spoilers are dropping in the upcoming War of the Spark expansion for Magic: The Gathering. Containing a record-breaking 36 planeswalkers, it’s set to release at the end of April. Joining the blue as an uncommon is Narset, Parter of Veils. Like most of the uncommon planeswalkers in MTG War of the Spark, she’s niche but still powerful. 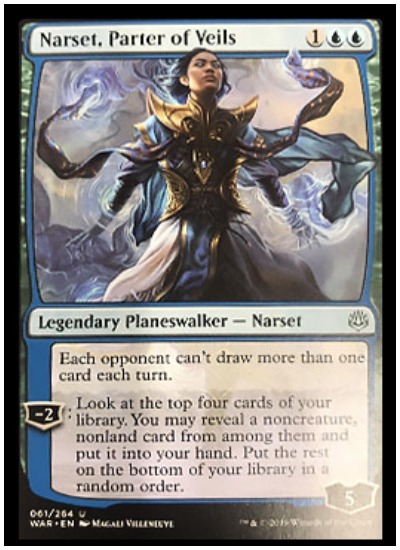 As a Jeskai way (strategist) martial artist, Narset, Parter of Veils brings her sharp mind to War of the Spark with a three mana (two blue) uncommon planeswalker. “Each opponent can’t draw more than one card each turn,” reads her static ability. 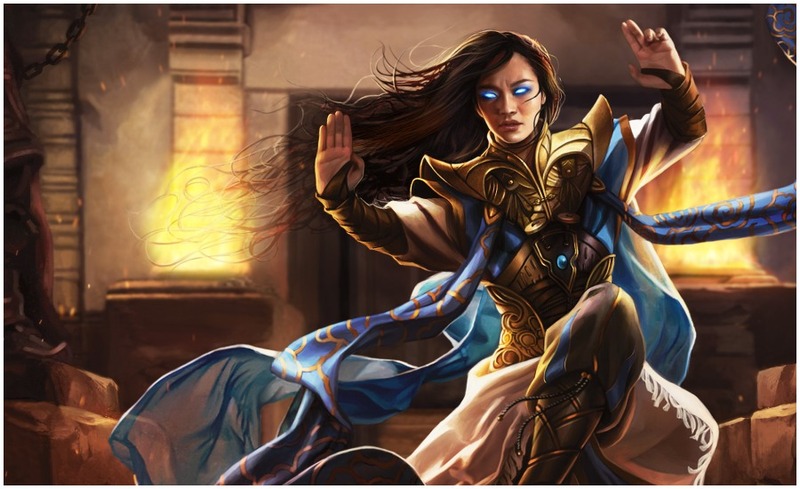 Narset will replace Leovold, Emissary of Trest from the Ultimate Masters’ expansion. EDH players are either rejoicing or crying. Expect to see Narset, Parter of Veils in combination with Davreil, Rogue Shadow, and Ashiok, Dream Render in Standard control decks too. She’s not a broken card by any means, however, Narset is a good fit who’ll see plenty of play time. In Limited she prevents the much-needed card advantage draw, and in Standard Narset will shut down a host of combos that often lead to win-cons. The final battle is here, as War of the Spark is set to release early in MTG Arena on April 25. Pre-release is April 27.